Health and Safety Executive (HSE) estimates put numbers of workplace injuries for 2015 at around 611,000. While some of these will have been unavoidable, the vast majority could have been prevented, either through proper training or an effective risk management strategy. Most of last year’s injuries were either falls from height, or caused by improper manual handling. Both types of injury fall firmly into the ‘could have been prevented with training’ category. Working Safely at Height and Manual Handling courses should be a key element of any risk management strategy for businesses where those activities take place. C&G can deliver a managed training strategy to ensure that your staff have the confidence, knowledge and practical experience to operate safely. The main function of training is to embed good practices and, particularly with working at heights and manual handling, effective training plays a huge part in reducing accidents and injuries. Manual handling was also identified as the cause of injury leading to the greatest amount of time off work, responsible for the majority of absences lasting longer than seven days. 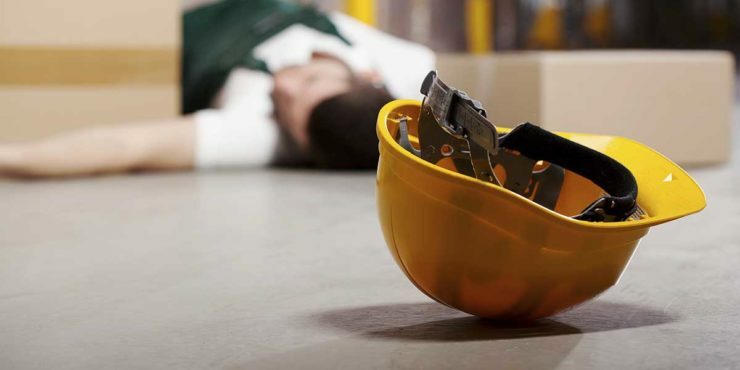 This indicates that reducing the risk of handling injuries could be one of the best ways for many businesses to minimise the number of work days lost to injury. The other significant concern for businesses is compliance and ensuring the business has done everything it can to reduce liability and keep its workforce safe. Providing training on operations relevant to your business will help you meet your business’s legal obligations. C&G offer a range of courses that can be delivered on client sites, to ensure candidates receive training relevant to their specific environment and processes. We also provide an outsourced risk management service and learning & development strategies to ensure your business can demonstrate you are providing employees with appropriate training.